It’s a little hard to see in the next photo, but in person you can definitely tell there’s a new SCOBY forming on top—right on schedule! It kinda looks like we have a jar of jellyfish, which I’d be totally down with too. 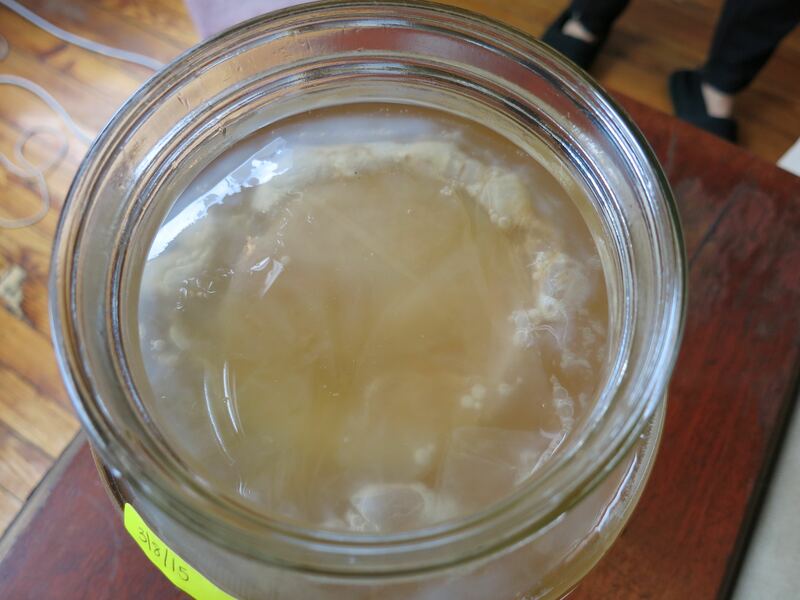 There are strands of yeast floating around below the SCOBY, which is normal and expected (yeast is a by-product of fermentation). It looks like we overfilled the past the brew fill line, but I promise we didn’t. 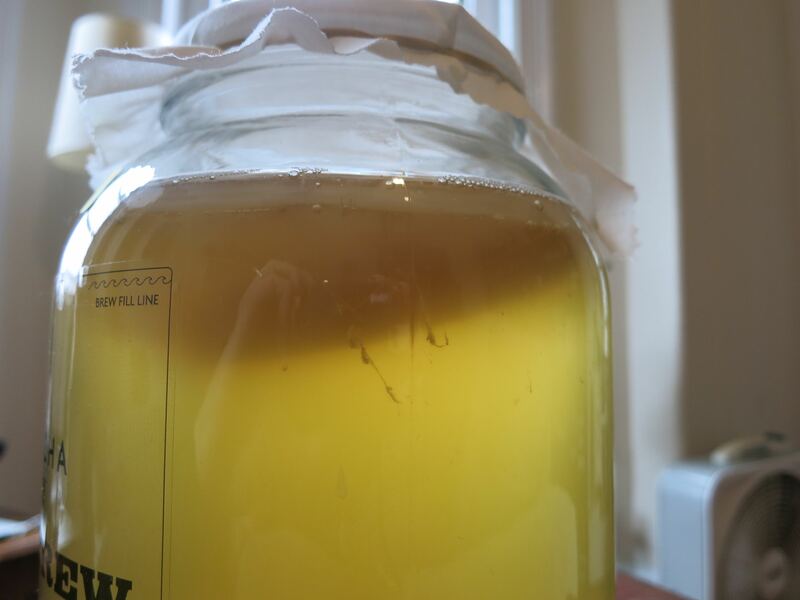 The new SCOBY has added some volume. Mold can grow on the top surface of the SCOBY if the temperature isn’t warm enough during the fermentation process, and our batch has been hovering around the low end of the ideal temperature range—even though we picked a warm dark spot for it in our home (damn you, Brooklyn apartments, for having no temperature control!). But so far, no mold. Yippee for that! 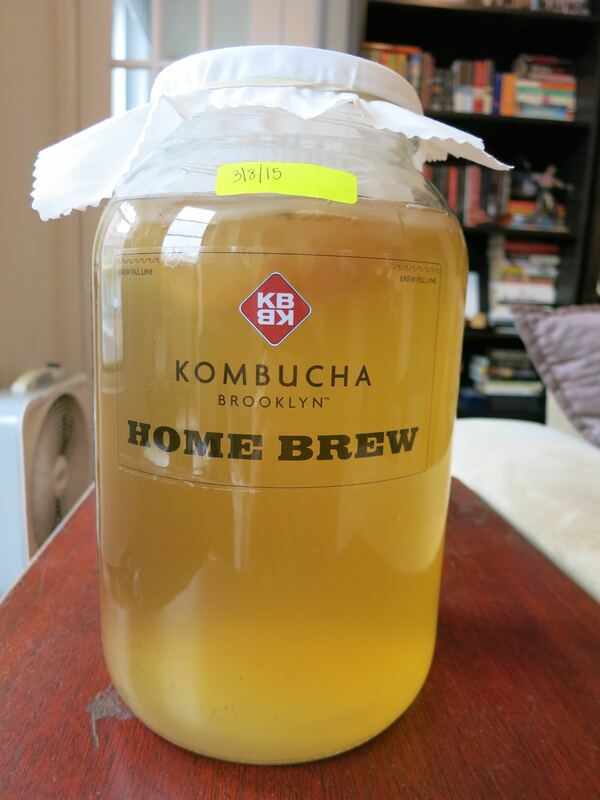 Later on this week we’ll start tasting our kombucha and decide when we want to bottle it. 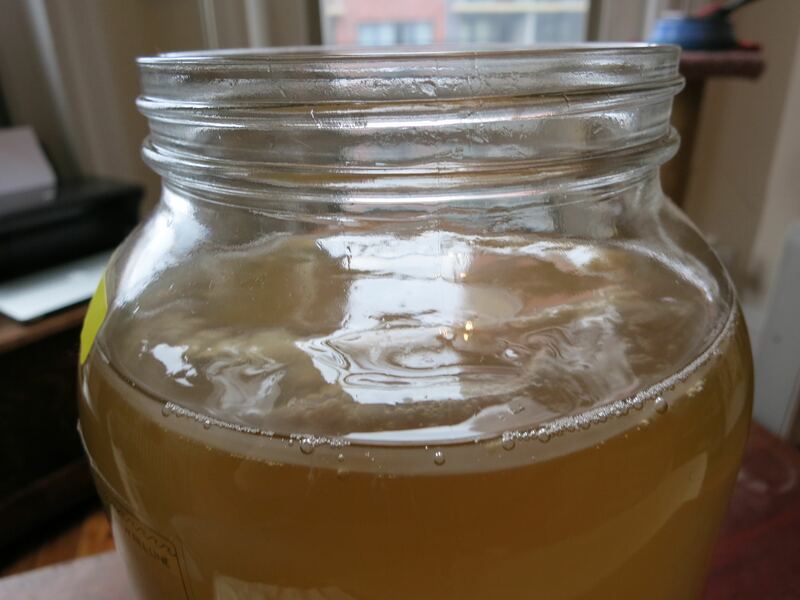 The next step after bottling will be adding flavor and allowing secondary fermentation which produces bubbles. I’ll update again as our batch progresses!